All of our themes have a place for your site's title and most of them have a default area for a header image that displays across the top of your website. You can choose to keep a Text Title, Upload a Logo or simply turn the Title area off to make it disappear from the theme. 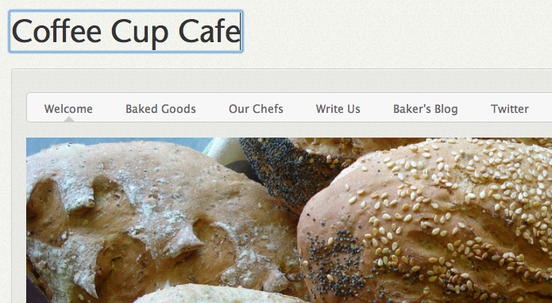 If you choose to stick with a Text title, simply type whatever you want. It should be fairly short and to the point (no more than six or seven words). Like the title of a book or a newspaper headline. 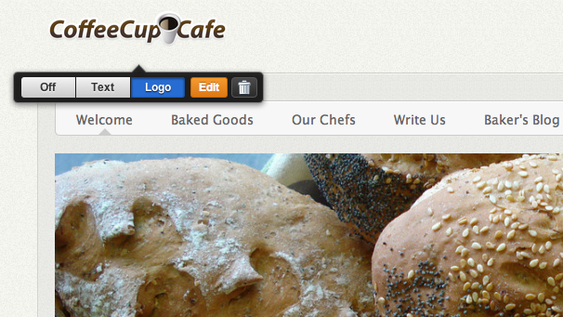 If you prefer to upload a Logo image, scroll over the title and select the clearly labeled Logo button. 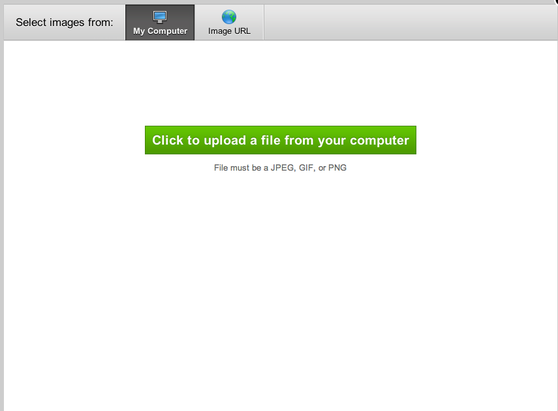 This will open a dialog box prompting you to upload an image from your computer. The image must be a JPEG (JPG), GIF or PNG. If you don't know the difference, don't worry: most images are JPGs so this is not something you'll likely have to give much thought. After you upload the image, you can edit it, delete it (to upload a different image) or switch back to text. Keep in mind that every theme has a set amount space available for a logo image. And the logo will be automatically resized to fit in this area. Aside from altering the CSS to provide more space (which you should only do if you're experienced with HTML), there is no way to change the amount of space an individual theme provides for a logo image.